A 32-acre farm in Exeter, Rhode Island, should have been the setting for a fairy-tale wedding last Saturday, but the smell of a large manure pile nearby ruined the celebration. "I don’t know if I have words to describe the overwhelming smell of manure," said the bride’s father, Marc Charren. "There is a beautiful yard, and all you smell is chicken manure." 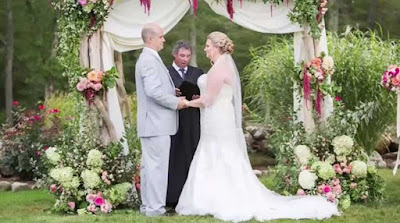 Julie Charren and her husband, Kyle, had been dreaming of an enchanted-themed wedding for years. She had postponed it earlier because she has been battling breast cancer. The property owner, Gerald Zarrella, is now suing his neighbours, James and Diane Lynch. Zarrella said James Lynch dumped a pile of manure near his property on Friday, hours before Zarrella hosted an outdoor wedding there. "This is really a spite case for me because we’ve been having legal battles," Zarrella said. Regardless, Zarrella said his neighbour should have kept the bride out of that feud. "It would have been a lot more beautiful if he hadn’t done that," said the bride’s mother, Terry Charren. "People wouldn’t be commenting and talking about it all evening." 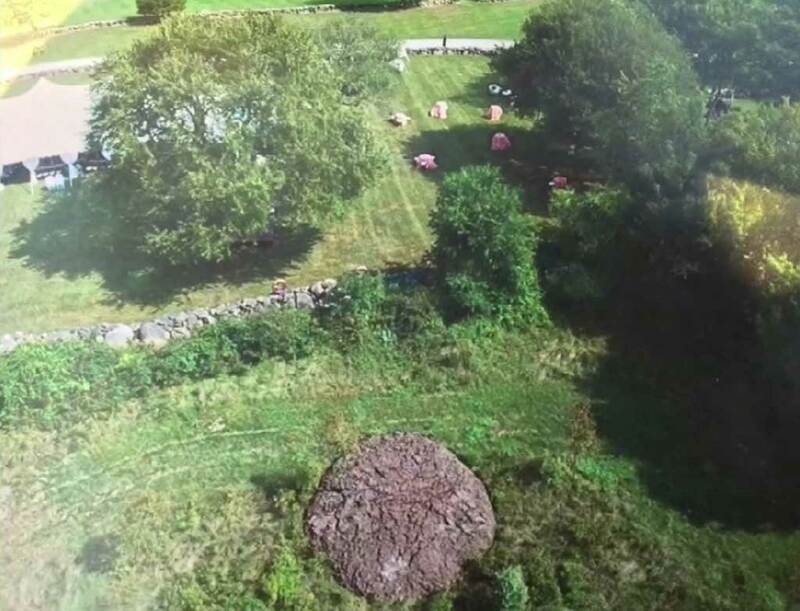 An aerial photo shows how close the pile of manure is to the property line. The wedding organiser said by the time the manure was dumped, it was too late to move the wedding tent. That meant wedding guests caught their share of a whiff as they ate outside. "Julie was crying in the morning before she arrived here," Marc Charren said. "We thought maybe we’d send people home, that the smell would be so overwhelming." Zarrella will host another wedding on the property next week. He hopes the lawsuit gets his neighbours to clean up the mess before the next wedding. "For people like him, there is a special place in hell," Zarrella said.